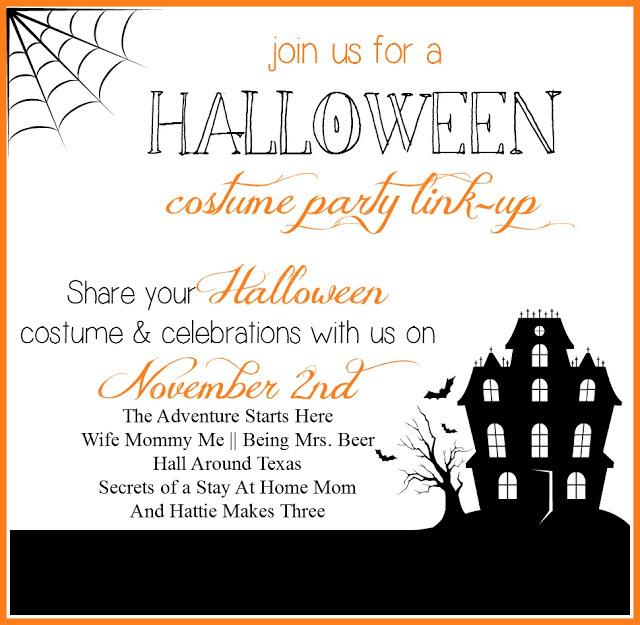 Halloween Recap AND Costume Party Link Up! Happy 2 Days post Halloween! Did you survive? We did. In typical St. Louis fashion, it rained and got cold. Why does it do that every year? Yuck. 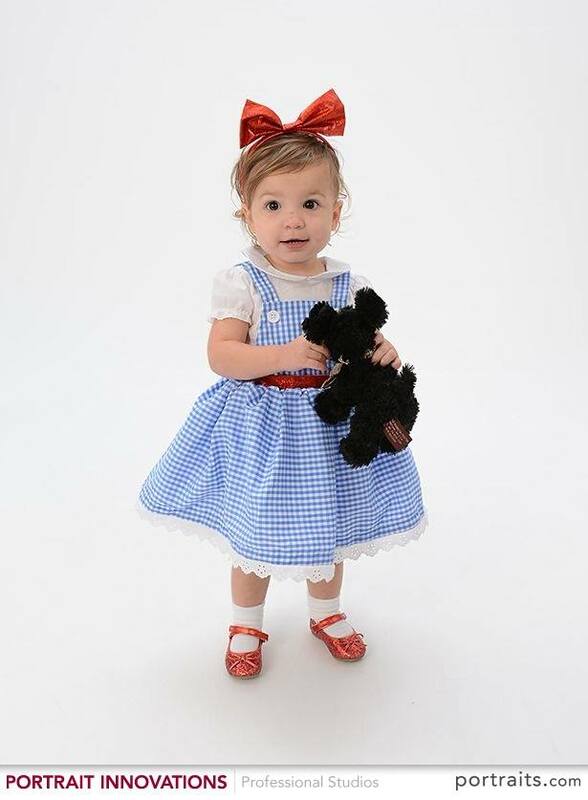 This past week we lucked out because Portrait Innovations was offering free photos if you were dressed in Halloween cuteness. Twist my arm. I was so worried it would be super busy, I tossed Miss H in the car with just a t-shirt and diaper and if the line wasn’t long, I’d get her dressed in the parking lot. If it was long, we’d just turn around. We got there and there was zero line! We were in and out in maybe 20 minutes. 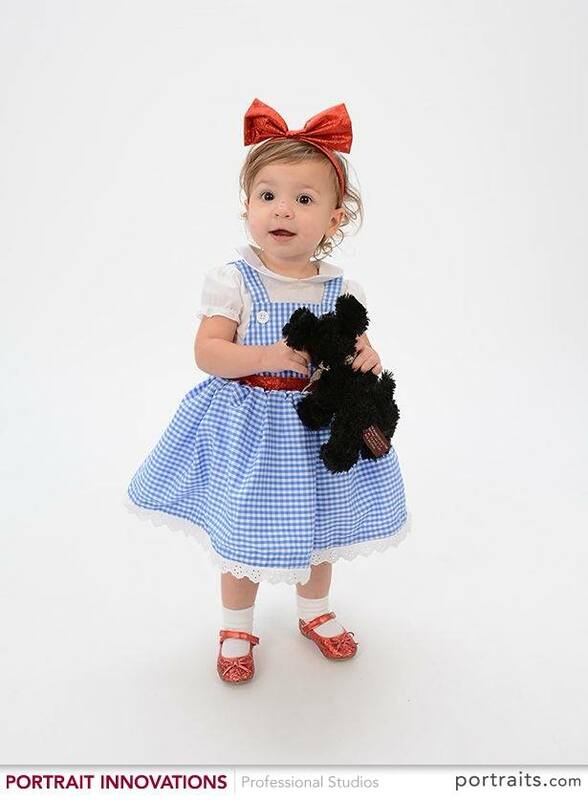 How cute is Dorothy? Her dress was from Gymboree and her shoes were from Target. On Friday we went to the Halloween Party at My Gym and she got to dress up again. Miss H loved jumping on the trampolines and running up the slides. The party we went to was for up to 23 months, so she was definitely one of the bigger kids there. Halloween night we didn’t get many photos simply because it’s hard to photograph in the night! We gave Miss H glow stick necklace and bracelet and she thought she was cool stuff. She loved going door to door grabbing candy and not telling her joke. Our neighbor gave her a king size bag of M&M’s and a KitKat so she was SO excited for that. Here was one of our pumpkins. When did fancy pumpkin decorating become a thing? Now it is your turn! 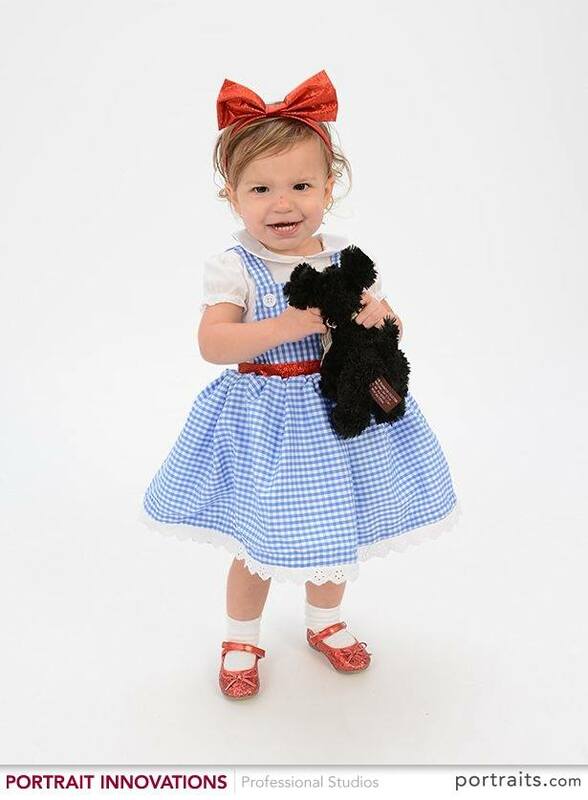 Share your adorable kiddos and all their Halloween fun! So sweet!! I didn't make it to the free photo session in our town, but I'll definitely have to remember it for next year because your pictures turned out so cute. Sorry the weather was gross, but I'm glad you still had fun. Glow sticks are a big hit at our house, too. In all seriousness though, cute costume!! I love your Minnie pumpkin! And I love that they were doing free photo sessions if in costume!!! Hattie is such a cutie! So, this was the first year in 2 years it wasnt frigid and pouring here, I totally feel for you. In related news it was also the first time my nearly 5 year old actually got to trick or treat lol.